Alphonse Island, Outer Islands, Seychelles, January 2017. 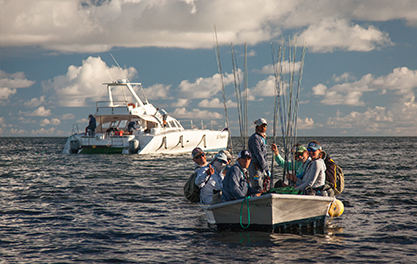 After extensive research, Alphonse Fishing Company announces the 39 legendary fish to catch on the fly. This comprehensive research outlines a long-awaited overview of global information about the most legendary fish caught on a fly all around the world. Basic information: carnivore, herbivore or omnivore, fresh or salt water, and average lifespan in years. The categories were defined by the research program to cover the most frequently asked questions regarding the fish in a fly-fishing context. The idea was to create a complete run down of information to show results and general information missing in the broader fishing realm and proven stats in the fly-fishing context. Hundreds of supporters from the international fly fishing community contributed their knowledge about their experiences to make the research and accurate results possible. Their valuable input was combined in order to create an informative guide to the best fly fishing spots per species. Given the detailed results, an infographic proved to be the best method in which to present the information. With such a wide range of destinations, fish species, specific abilities, etc. The graph is lengthy and may require some time before finding your favourite fish. The main objective of the project was to gather information from experienced fly fishers locally. Most fishermen have favourite fish to catch and preferred fishing spots. The Alphonse research team asked for tips and basic information to be shared with other fishermen and women globally. The goal is to inform and connect the fishing community. The data is available and encouraged to be shared with the local communities so that fly fisher can expand their fishing adventures internationally. After quite some time of research and planning, we are happy and proud to announce the 39 LEGENDARY FISH TO CATCH ON THE FLY Infographic. The infographic contains recommended tackles to use. The #LegendaryFlyFish is going to be used for any reports regarding the choice of tackle. ‘Thank you’ to everyone who contributed their time and input in order to make this project possible. 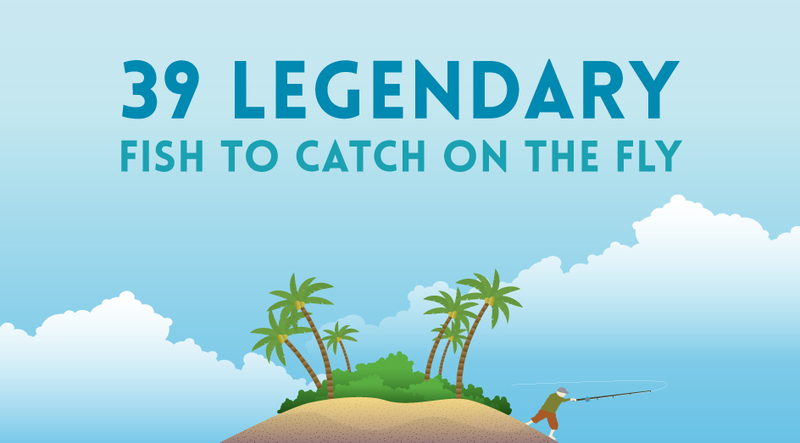 To connect the international fly fishing community #LegendaryFlyFish can be used to share fly-fishing adventures and global fly-fishing expeditions. 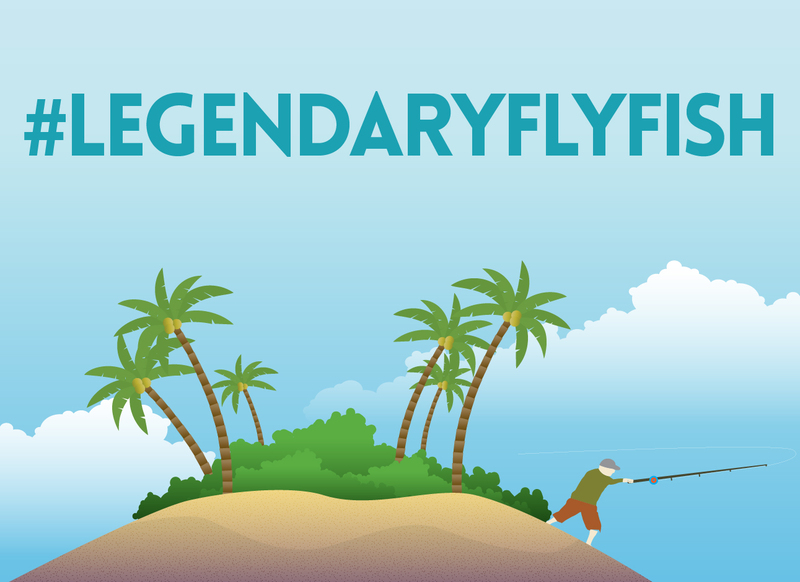 Share your legendary catches or find out about other legendary catches by using #LegendaryFlyFish on all social media platforms. Learn about fly-fishing terminology from different countries and share your own. Find out about new gear, great destinations, and of course, legendary catches. To inform other Flyfishers it’s everyone is welcome to embed or share this infographic to the international and local fishing communities.